The book presents a comprehensive study of various cognitive and affective aspects of web searching for translation problem solving. Research into the use of the web as an external aid of consultation has frequently occupied a secondary position in the investigation of translation processes. The book aims to bridge this gap in the literature. Beginning with a detailed survey of previous studies of these processes, it then focuses on web search behaviors using qualitative and quantitative analysis that presents a multifaceted overview of translation-oriented web searching. 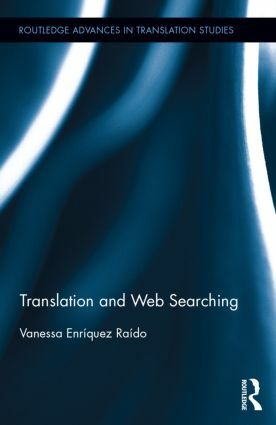 The book concludes by addressing the implications for the teaching of and research into translators’ web searching skills. With regard to teaching, the book's didactic discussions will make it a valuable tool for both translator trainers and translation students wanting to familiarize themselves with the intricacies of Web searching and to reflect upon the pedagogical implications of the study for acquiring online information literacy in translator training. Vanessa Enríquez Raído is Senior Lecturer in Translation Studies in the School of European Languages and Literatures at The University of Auckland, New Zealand.